Gov. Bruce Rauner and Democratic lawmakers were unable to agree on a budget plan for the state on Sunday, the deadline for the spring legislative session. Powerful House Speaker Michael Madigan said his chamber plans to be in “continuous session” this summer to address the state’s $6 billion budget shortfall. 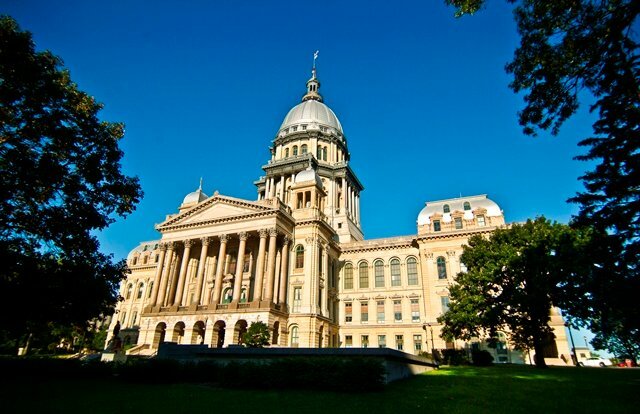 We’ll talk with Chicago Tonight Springfield reporter Amanda Vinicky about the public relations battle between the governor and Democratic leaders, the uncertainty over the budget, and what lawmakers were able to pass in the final days of the spring session. View a chart highlighting several bills that were passed by legislators and are awaiting Rauner’s signature. On Sunday, Madigan and Rauner talked to reporters separately in an attempt to manage the fallout over the impasse on the state’s budget. Madigan said Rauner is acting in the “extreme” by trying to get his turnaround agenda approved the Illinois General Assembly by tying it to the budget process. Rauner’s turnaround agenda includes legislation aimed at overhauling workers compensation, implementing term limits for lawmakers, and freezing property taxes. Rauner accused Madigan of walking away from the negotiating table by passing his own budget proposal that’s $3 billion short. While Rauner said he is open to negotiating, he criticized Madigan as an insider and a puppet master who is “pulling the strings” of lawmakers.